“3200 stories” is the name of the Jewish Community Center of San Francisco’s members’ blog; 3200 referring to their address on 3200 California Street. 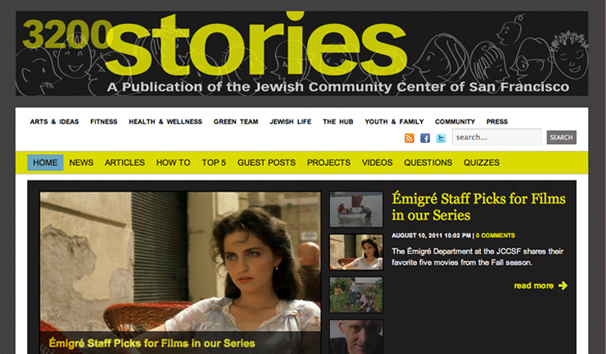 The JCC hired me to develop a look and a header that would reflect the communal nature of the blog. I created a passel of informal chattng characters to populate the spot, and contrasted that with strong modern typography.